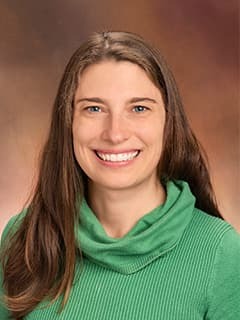 Amy Kogon, MD, MPH, is an attending physician in the Division of Nephrology at Children's Hospital of Philadelphia. Knight A, Kogon AJ, Matheson MB, Warady BA, Furth SL, Hooper SR. Cognitive Function in Children with Lupus Nephritis: A Cross-Sectional Comparison with Children with Other Glomerular Chronic Kidney Diseases.J Pediatr. 2017 Oct; 189: 181-188. Verbitsky M, Kogon AJ, Matheson MB, Hooper SR, Wong CS, Warady BA, Furth SL, Gharavi AG. Genomic Disorders and Neurocognitive Impairment in Pediatric Chronic Kidney Disease. J Am Soc Nephrol. 2017 Aug;28(8):2303-2309. Kogon AJ, Matheson MB, Flynn JT, Gerson AC, Warady BA, Furth SL Hooper SR, Chronic Kidney Disease in Children Study Group. Depressive symptoms in children with chronic kidney disease. J Pediatr 2016; 168: 164-170. Kogon AJ, Pierce CB, Cox C, Brady TM, Mitsnefes MM, Warady BA, Furth SL, Flynn JT. Nephrotic-range proteinuria is strongly associated with poor blood pressure control in pediatric chronic kidney disease. Kidney Int 2014; 85(4):938-44. Kogon AJ, Van der Stoep A, Weiss NS, Flynn JT, Smith J, McCauley EM. Depression and its associated factors in pediatric chronic kidney disease. Pediatric Nephrology 2013; 28(9): 1855-61. Kogon A, Hingorani S. Acute Kidney Injury in Hematopoietic Cell Transplantation. Seminars in Nephrology 2010; 50 (6): 615-626. Metjian TA, Prasad PA, Kogon A, Coffin SE, Zaoutis TE. Evaluation of an Antimicrobial Stewardship Program (ASP) at a Pediatric Teaching Hospital. Pediatric Infectious Diseases Journal 2008; 27(2): 106-11. Lee JA, Parrett BM, Conejero JA, Laser J, Chen J, Kogon A, Grant RT, and Breitbart AS. Biological alchemy: engineering bone and fat from fat-derived stem cells. Annals of Plastic Surgery 2003; 50:610-617.